There will also be opportunities to access online courses and webinars for the whole school workforce. In 2016/17, COBIS CPD events will be held in Spain, Greece, Belgium, The Netherlands, USA, Norway, UAE, Oman, Romania, Italy, Japan, Malawi, Portugal and the UK. We are grateful to all of our host schools. We hope to see you, or your colleagues, at some of these exciting events this year. 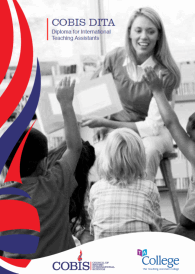 This conference, hosted by The British International School, Cairo, will focus on the importance of contextualised teacher learning and development, effective models of CPD, and how these can secure school improvement and raise attainment of pupils. How do we improve teacher performance? What is the impact of CPD on pupil outcomes? What are the most effective models of teacher learning and development? How do we measure this impact? Speakers will include Steve Munby (Education Development Trust), Professor Deborah Eyre (High Performance Learning) and David Weston (Teacher Development Trust). This conference is sponsored by Double First. There will also be a free COBIS webinar on 6 December 2016 on a related topic. Visit the COBIS website for more information, a draft programme and booking forms. COBIS and Youth Sport Trust will be working together to deliver a one-day seminar on PE and School Sport for International Schools. This seminar will take place ahead of the Youth Sport Trust National PE Conference. Visit the COBIS website for more information and booking details. Bookings are now being accepted. Visit the COBIS website for more information and booking forms. This Four-Day Middle Leaders' Course, delivered by Karen Ardley Associates in partnership with COBIS, will run in Athens, Dubai, New York, and Stavanger. Early booking is recommended for this popular course. "Words aren't enough to describe how empowered and inspired I feel! This programme gets you back to the heart of why I am a teacher." "An inspirational course that has changed my outlook on education." 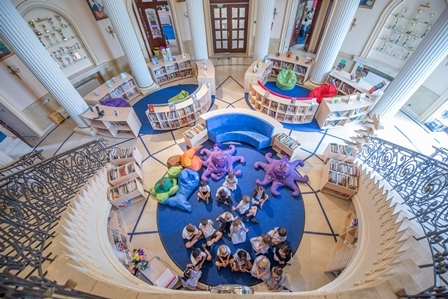 This two-day course, hosted by St Catherine's British School in Athens and delivered by Karen Ardley Associates in association with COBIS, provides aspiring senior leaders with opportunities to explore current leadership and management practices and skills to ensure continual school improvement and high performance. The 2016/17 COBIS Programme for Middle Leaders (CPML) is now under way with nearly 90 participants taking part. The CPML is a one-year programme for ambitious middle leaders who wish to develop their personal and professional skills. The CPML uses a blended learning approach with facilitated workshops and self-directed learning, including five days of face-to-face training events. CPML cohorts are running this year in The Netherlands, Spain, Mexico, Romania, Malawi and Oman. COBIS is pleased to be able to offer schools the opportunity to train new facilitators who will be able to deliver the COBIS Programme for Middle Leaders (CPML). This opens up the possibility for COBIS Schools to run their own CPML programmes or work in collaboration with other schools. Please visit the COBIS website for more information and booking forms. Places are limited for these two training courses. Delegates are invited to register for the third COBIS Conference for Bursars, Business Managers and HR Staff. This event will be held at St Julian's School, Portugal, and is sponsored by WCBS International. The programme will cover a range of themes including Governance, Finance, Human Resources, Facilities, Community and Partnerships, as well as delegate-led sessions. For more information about the programme and booking forms, please visit the COBIS website. For more information and booking forms, please visit the COBIS website. Take advantage of Early Bird rates by booking your place before 31 December 2016. Visit the COBIS website for more information. A number of COBIS Supporting Members offer professional development for British Schools abroad. To learn more about CPD provision from COBIS Supporting Members, visit the COBIS website. This service ﻿can help you access quality-assured trainers and consultants to provide tailored CPD in your school. To learn more, visit the COBIS website. Reaching Excellence: It's all about the teacher - Effective Models of Teacher Learning. 6 December 2016 - Register for your free place now. The COBIS Annual Conference will be returning to the O2 InterContinental in Greenwich, London in 2017. Seminar proposals are currently being accepted for the Annual Conference. COBIS welcomes submissions or suggestions from all COBIS members for the conference programme. Please contact Fiona Rogers on cpd@cobis.org.uk for more information. Exhibitor and Delegate booking will open in December 2016. Both the COBIS Diploma for International Teaching Assistants (DITA) and the DITA for Early Years provide international Teaching Assistants with the knowledge, skills and understanding to work alongside teachers whilst maximising learning opportunities for children. Enrolment for these courses is currently open. COBIS would like to thank the c.500 delegates, speakers and exhibitors who took part in two recent COBIS conferences - the COBIS EYFS Conference hosted by Byron College, Athens, and the COBIS/King's Group Professional Development Weekend in Madrid. Both events were very successful. Byron College and King's Group colleagues deserve particular congratulations and thanks for the huge amount of work that goes into organising these events. For more information, visit the Previous Conferences section of the COBIS website. If you have any comments or requests, please contact us. We'd love to hear from you.